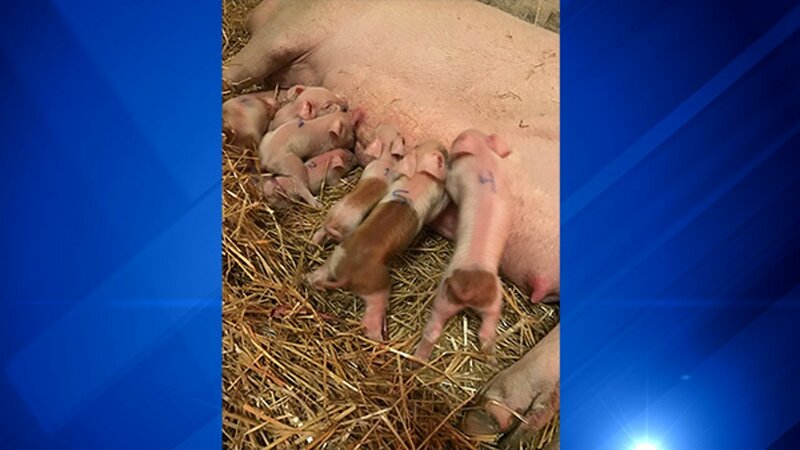 CHICAGO (WLS) -- Sugarbeet, a 5-year-old sow, gave birth to 10 piglets at the Chicago High School for Agricultural Sciences in the Mount Greenwood neighborhood Tuesday night. The sow was originally expected to give birth on Monday. The school live streamed the birth from the school's barn. The live stream currently shows Sugarbeet and the piglets. Students at the school welcome a pregnant sow every year and observe her during the gestation period.